After great value and a central location? Stay at Space Hotel! Designed as a modern city hostel, we offer your choice of a Single, Queen, Twin, Family and Dorm rooms all with shared bathrooms. 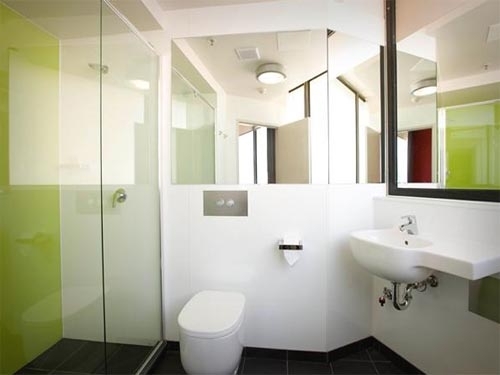 We also have Ensuite rooms available. All of our rooms are newly renovated rooms with superior furnishings. Take advantage of the great facilities including Gym, Brand New Theatre Room with FOXTEL, Games room with complimentary arcade games on arrival, Complimentary tea & coffee, open rooftop courtyard, coin operated laundry, day tour bookings, taxi reservations and airport shuttle reservations all at a great price! Our fantastic location puts you in the middle of Melbourne's diverse attractions. Within minutes of Melbourne's restaurants, cafes, nightlife, and shopping, your stay at Victoria Hall will surely be an eventful one!